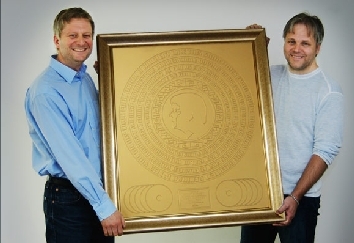 In February 2005, I was presented with this very, very special gold record. It commorated my participation in sales of more than 100 million records worldwide. I’d passed the 100 million mark? Wow! Today, in February 2013, some say the number of sold records including my songs have exceeded 160 million. I don’t know. But I’m really, really proud of this golden record.